John Cena Will Get Trapped in a Bunch of Movies at NetflixJason Bateman will direct the comedy for the streaming network. Ozark Will Continue Making Literally Dark Television for a Third SeasonThe Byrde family just can’t leave the life behind. A (Very) Condensed Recap to Ozark Season OneWanna brush up on Ozark? Here’s a guide to all the essentials from the Netflix drama’s first season. Ozark Season 2 Trailer: We Gotta Get Out of This PlaceThe Missouri Tourism Board won’t be thrilled. 398 Arrested Development Jokes You Probably MissedThe most obscure jokes, references, Easter eggs, and hidden bits of foreshadowing in Arrested Development. Jason Bateman Wants to Play a Woman, Like in Tootsie, Sort ofOkay. Game Night Will Make You Wish Rachel McAdams Still Made ComediesThe Jason Bateman–starring comedy is better than it needs to be, thanks to sharp setups and a few great performances. New Game Night Trailer: McAdams and Bateman Bond Over Trivia, MurderThe R-rated comedy will be out February 2. J.J. Abrams Brings Jimmy Kimmel’s Teen Comic Book to Life With Absurd TrailerStarring Ben Affleck, Matt Damon, Billy Crudup, Jennifer Aniston, and more. Arrested Development Season 5 Will Revolve Around a Murder MysteryWho killed Lucille Two? Ozark Trailer: Jason Bateman and Laura Linney Are Getting Dramatic in the WoodsPremiering on Netflix July 21. 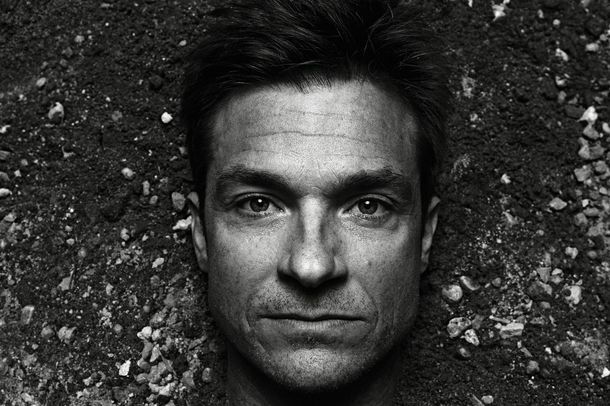 Jason Bateman Is Ready for a Dramatic TransformationAfter working successfully in comedy for a very long time, he’s making a radical career change. And he’s making a big bet that you’re ready, too. Jason Bateman Says Arrested Development Season 5 Is ImminentThe Bluths are back, baby! There Will Be an All-Female Live Read of Juno to Benefit Planned ParenthoodEllen Page and Jennifer Garner will reunite in the name of the #resistance. Arrested Development Has a Hook for Season 5It’s quite an idea. Laura Linney Joins Jason Bateman’s Netflix DramaShe continues to be the most low-key three-time Oscar nominee ever. Jeffrey Tambor Is Still Jason Bateman’s DadTambor won a SAG Award for his performance in Transparent. Bad Words Trailer: This Spells TroubleJason Bateman makes his directorial debut. Here Is the Mumford & Sons Music Video in 5 GIFsOld timey whiskey bootleggers, they are surely not. Die Hard Sequel Blasts Ahead of Identity ThiefWhile Safe Haven and Warm Bodies benefit from Valentine’s Day. Identity Thief Stole the Weekend Box Office That Melissa McCarthy is golden. Will Arnett Reveals Arrested Development SpoilerPlus: Zachary Quinto is off to Colorado and Nevada to campaign against the “reptilian” Mitt Romney, and more, on our daily late-night roundup. NBC Buys Eighties Comedy From Jason BatemanThere’s a Wonder Years tint. Identity Thief Trailer: McCarthy Versus BatemanJason Bateman and Melissa McCarthy are both Sandy Bigelow Patterson. Analyze This Photo From Arrested Development’s First Day BackJason Bateman tweeted from the set. Arrested Development Begins Filming in Four WeeksJason Bateman and Ron Howard are excited. Jason Bateman Eyeing Directorial DebutBad Words, about a grown-up in a spelling bee. Zac Efron, Jason Bateman Circle This Is Where I Leave YouLeslie Mann and Goldie Hawn are interested, too. Modern Family’s Eric Stonestreet Joins Identity Thief ComedyAlongside Jason Bateman and Melissa McCarthy. Watch Jason Bateman and Will Arnett Shave TogetherBluth power! Watch Will Arnett and Jason Bateman Talk About Hairy Ladies in Morgan Spurlock’s New Documentary, MansomeBluth Family Reunion! See Vintage Jason Bateman Teenybopper PhotosBut seriously, how many eighties heartthrobs could pull off denim-on-denim? Not many.